When most people hear the word “braces”, they typically think of metal braces. 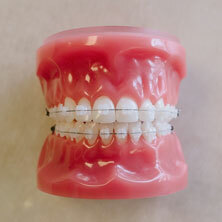 Metal braces have been used for over 100 years to straighten teeth. The good news is metal braces are smaller, less noticeable, and more comfortable than ever before. At Saddle Creek Orthodontics we offer both traditional “twin” metal braces and also passive self-ligating Damon braces. 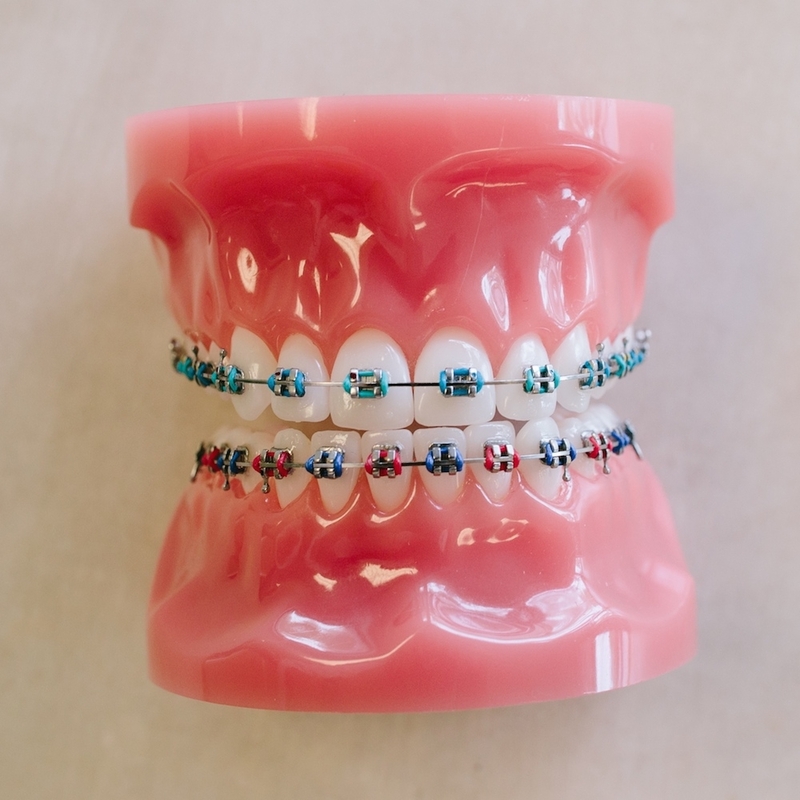 Metal braces are a great option for children and adults, plus you get to pick your own colors! Ceramic braces (also known as clear braces, tooth-colored braces, aesthetic braces, or even porcelain braces) are an excellent option for teens and adults. Ceramic braces are the same size and shape as metal braces, and are thus able to create beautiful smiles in the same way as metal braces. 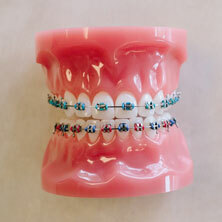 Ceramic braces are more expensive than metal braces, but they look and work great! We now offer tooth-colored wires and ties for an unparalleled cosmetic braces experience. Invisalign uses a series of clear, removable plastic trays to gradually straighten teeth, without metal or wires. 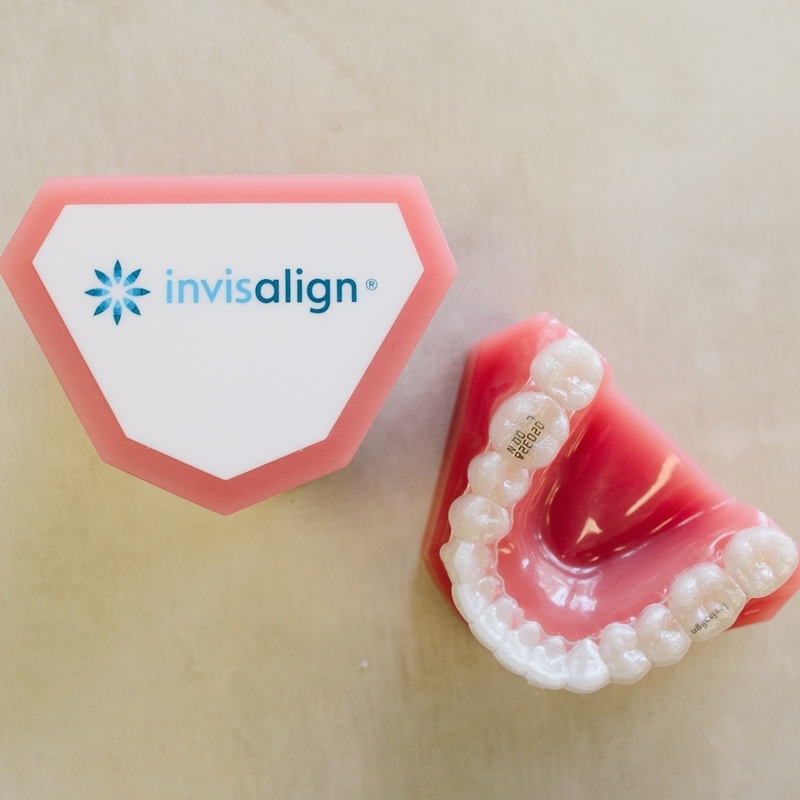 Invisalign aligners are practically invisible and allow patients to eat and drink whatever they want. 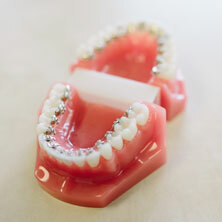 It is also easier to keep your teeth clean while wearing Invisalign and the trays can be removed for special occasions. Invisalign is not the best option for all orthodontic problems, and can only be worn by teens and adults. But, it is a great option when indicated. 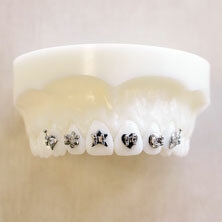 WildSmiles are specially designed orthodontic brackets that come in a variety of fun shapes including Stars, Hearts, Sports Balls, Footballs, Flowers and Super-Diamonds. Designed to make your orthodontic experience fun, WildSmiles are about offering a unique alternative to traditional braces. WildSmiles are ideal for younger children (ages 7-12), but are a perfectly good option for patients of all ages. Like metal braces, you can choose your colors! Lingual Braces, also known as Incognito or Hidden Braces, are braces that fit on the inside of the teeth, and are completely invisible so you can confidently smile through every event that life has to offer. Incognito lingual braces are custom made from gold to fit only your teeth. Lingual braces can be a bit less comfortable for some patients and are more expensive than traditional metal braces, but are a good option for highly esthetically-conscious patients.